Dear Students, Haryana TET Result 2019 has been declared now. HTET 2019 Examination was conducted offline on 5th and 6th January 2019. 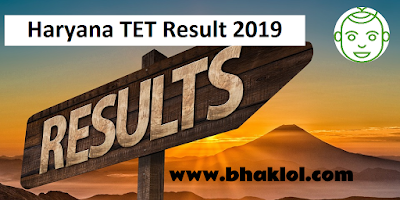 Roll Number or Candidates Name required to download Haryana TET Result 2019.